Nå kommer den første integrerte CD spilleren fra Kalista! Med full kontroll på vibrasjoner, statisk elektrisitet og med et design som tar pusten av oss - så ønsker vi virkelig denne nye Kalista modellen hjertelig velkommen. Nei - det er IKKE slutt på CD plater og CD plate spilling!! Reaching for a dream- The reference KALISTA CD Turntable now comes with a DAC inside! The high-end KALISTA Brand stands for the purest and unique sound with astonishing musicality, emotional realism and a visually stunning design statement that makes you dream. Completely handcrafted in France, DreamPlay ONE is the legendary Kalista CD Turntable in Diamond or Black Pearl finishes equipped with an internal powerful DAC offering an unmistakable musical experience. Famous for a remarkably authentic sound with a natural depth, the Kalista’s sound qualities result from exceptional electronics and combination of noble materials. DreamPlay ONE is 100 % designed and built by hand in Metronome’s workshops based in South-West of France featuring a massive aluminum chassis, methacrylate 60 mm thick transparent parts, stainless steel feet. 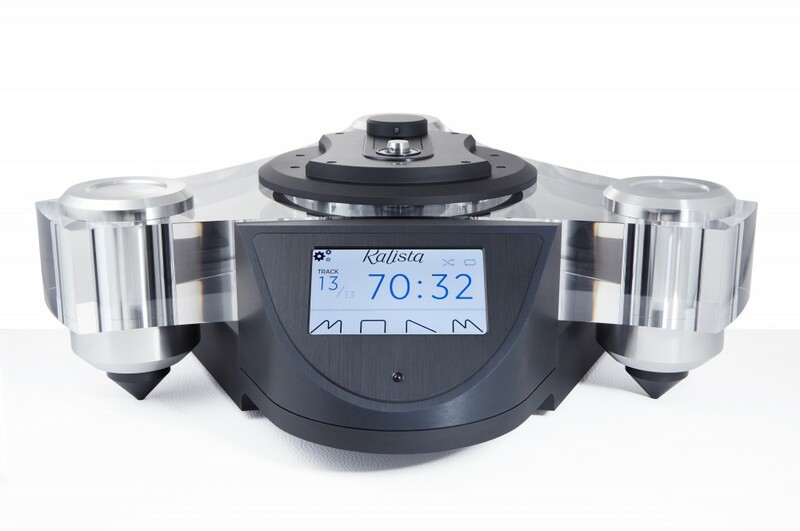 The first Kalista Integrated CD Turntable DreamPlay ONE has a pickup mechanism PHILIPS CD PRO and a high-end internal D/A converter with 2 conversion chips (AK4497) in dual mono mode delivering that excellent precision and aerial sound reproduction that defines the analogue savoir-faire of Métronome. An external power supply Elektra with 7 separate power regulation lines and 3 high-quality toroidal power transformers accompanies the DreamPlay ONE to decrease vibrations and increase fast power transitions. Available in silver and black finishes, the DreamPlay One is designed for those audio-enthusiasts who appreciate exceptional sound combined with gorgeous design, high-end quality, modern functionalities and great easiness in use. About Metronome Technologie: Celebrating 30 years of innovation in sound reproduction. Métronome is a French high-end audio manufacturer. Our aim is to offer audio enthusiasts a universe where the sound is king, where it is real. Designed and hand-made in France, the products of Kalista and Métronome brands will satisfy most discerning music lovers with incredible technical performances and quality of sound, approved by international reviewers.